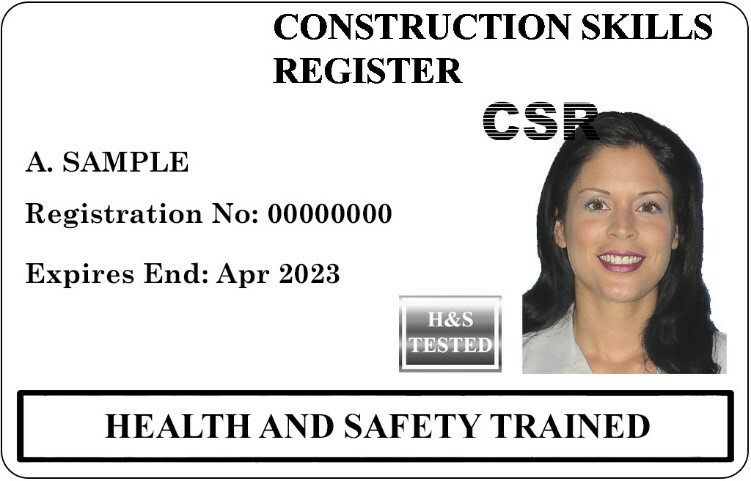 This card is available to applicants who complete the CSR 1 day Health & Safety Training. This card provides evidence of appropriate basic health & safety training only and will not display the card holders occupation. This card is accepted in Northern Ireland and the Republic of Ireland (as equivalent to Safe Pass). This card WILL NOT be accepted in GB. The card is valid for 4 years from the date of completion of the CSR 1 day Health & Safety Training. CSR 1 day Health & Safety Training.